My art practice combined with my life experience as a coastal inhabitant formed the core of an academic investigation into the transitional development of painting styles in British land and seascape art from the late eighteenth to the mid-nineteenth centuries. 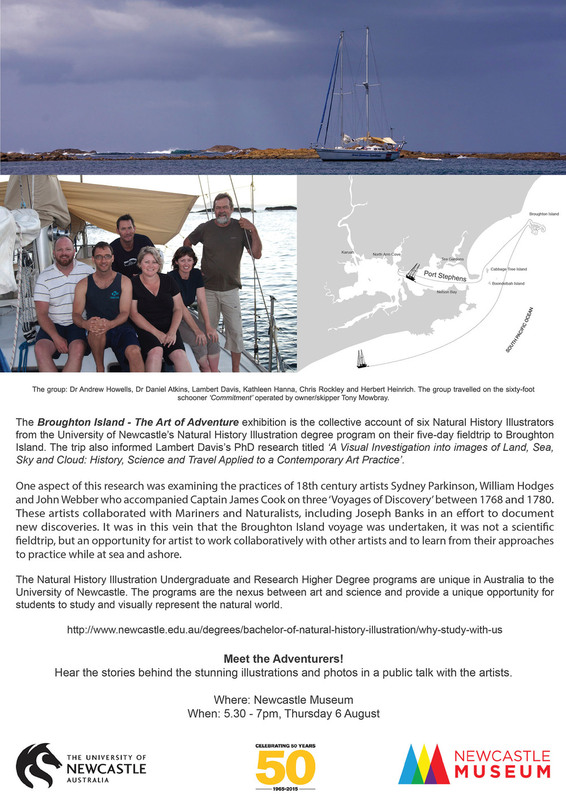 This research was practice-based with a major component comprising a series of contemporary paintings of land, sea, sky and cloud originating from field research conducted in local and distant coastal environments as well as during three sailing expeditions. Throughout an artistic practise ranging from a career as a children’s book illustrator to recording periodic journeys in sketchbooks, my work has been inspired by a lifelong connection to the coastal landscape and marine environment. More recently, while pursuing a PhD in Natural History Illustration, I gained insight into the challenge of balancing the traditional role of a natural history illustrator to accurately record ones chosen subject, a particular time and place in the case of landscape, with the expressive brushstroke and colour that perhaps better convey a sense of the emotional experience. While making art is often a solitary discipline I have not been alone in my efforts to reconcile these related but often conflicting intentions. British land and seascape art during the eighteenth and nineteenth centuries produced some of the most historically significant examples of artists asserting a transformation from descriptive to expressive styles. My research investigated the modification in painting styles focusing on the artists accompanying the mariner James Cook (1728 – 1779) during his three famous voyages of discovery as well as the famous landscape painters John Constable (1776 – 1837) and Joseph Mallord William Turner (1775 – 1851). My art practice, conducted in a systematic and experimental way, informed by the experiences of these selected British artists provided a practical test of theories surrounding their work. This research was undertaken with the intention of better understanding my own art practice and providing knowledge for other artists conducting similar practice-based research. Furthermore, my intention has been to provide new knowledge for artists, historians and the broader community into an important period of British history encompassing art, science and exploration.